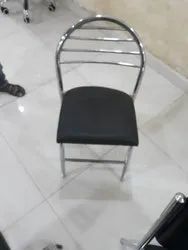 We are widely acknowledged as the most authentic firm involved in offering our clients with assured quality Cafe Chair. These products are used in cafe and restaurants and are widely appreciated by the number of clients due to its smooth operation and low maintenance. 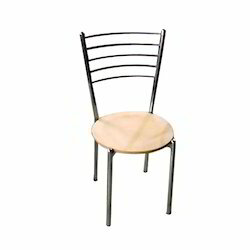 Being one of the most trusted names in the industry, we are engaged in manufacturing and supplying an extensive range of Restaurant Chairs. We use mild steel and other metal alloys to manufacture our range that ensures their long service life. Our range is light in weight and can be moved from one place to another very easily.